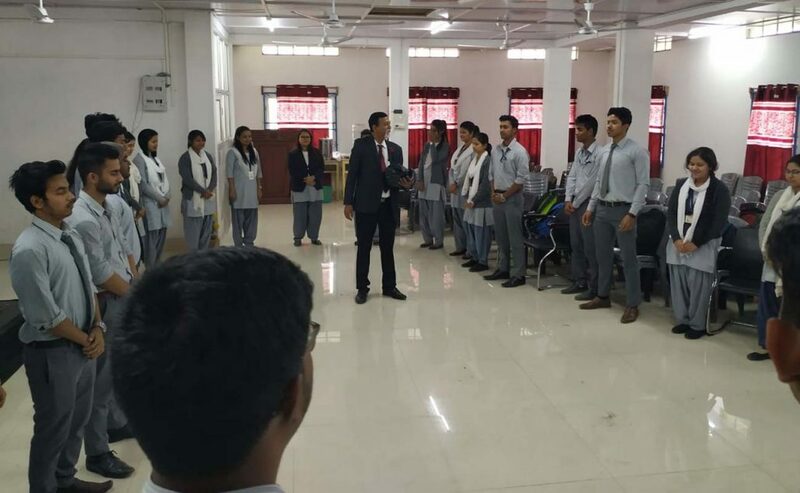 A two-day long state level ‘Entrepreneurship Awareness Camp in Allied Health and Applied Sciences’ has been underway at the Girijananda Institute of Pharmaceutical Science (GIPS) in Guwahati from Tuesday. The awareness camp has been jointly organised by GIPS, Azara and Institute of Entrepreneurship (IIE) Guwahati. In the inaugural ceremony, organised in the morning on Tuesday, was chaired by Shrimanta Shankar Academy Society president Ratul Das. The inaugural programme was also attended by Achintya Kumar Baruah, faculty member of IIE, Guwahati; P. Choudhury, state project manager of Assam Skill Development Mission; Dr S.K. Dutta, principal of Girijananda Institute of Management and Technology (GIMT) and Dr Gouranga Das, principal, GIPS. “The entrepreneurship awareness aims to make the students of applied science and medical science aware about the prospective of the industrial development and provide them detailed information regarding the government facilities, schemes, financial aspects and preparation of projects,” the organisers said. Apart from the students of GIPS, the awareness camp has also been participated by a number of students and professors from different institutions. The resource persons at the camp for both the days are IIE Guwahati’s Dr Sripama B Baruah, Achintya Kumar Baruah, Biraj Das, Ratul Kumar Das; officials of the District Industrial and Business Centre, Kamrup; Anjan Kumar Choudhury, CEO and trainer of Skill India; officials of Assam Skill Development Mission and successful entrepreneurs in four different sectors. An interaction session with the participants and evaluation will be arranged in the second day programme of the camp on Wednesday. The organisers have informed that the concluding function will be attended by IIE Guwahati director Dr Abhijit Sharma. He will also hand over certificates to the participants of the camp.